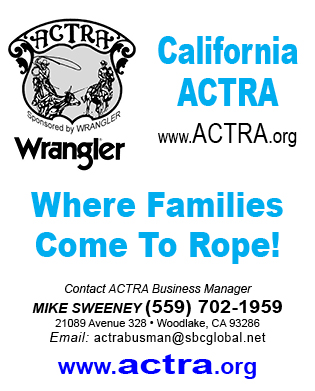 BFI/Reno Rodeo Week, High School Finals, WSTR...Let's Rope! June is always my favorite month as it is the Bob Feist Invitational (BFI) month and time to go to the Silver Legacy in Reno. 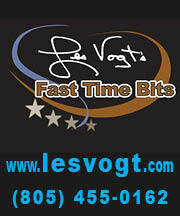 The Silver Legacy is again the host hotel for the BFI and a key sponsor for the Reno Rodeo. The Legacy is the place to be if you want to rub elbows with the top cowboys and cowgirls during BFI and Reno Rodeo week. Sunday, June 17, will be the welcome reception for the BFI at the Silver Legacy and is open to the public. If you get to Reno early, come by and check out all the BFI merchandise in the main lobby of the Silver Legacy. Make your plans now to attend this year’s event by calling the Silver Legacy at 1-800-687-7733. Be sure to ask for the special BFI rate. Spring is here and that means the winter rodeos are over and the spring run starts with many of the pro contestants heading to the West Coast to make the run at the many rodeos plus the jackpots. April will kick off out here with Oakdale and some open ropings and then off to Red Bluff. 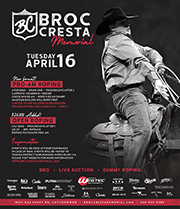 This year the Broc Cresta Memorial Roping will be at the Four Star Ranch, 18411 Gas Point Rd., Cottonwood, Calif., on Tuesday, April 17. 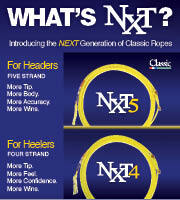 The day will include the Pro Am plus the Open Roping which will be a 5 for $400 go twice. 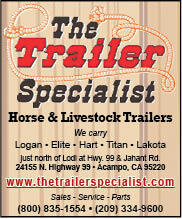 See the ad in this issue on page 23. 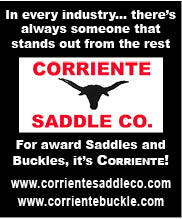 This year on Monday there will be an Open Pre-Roping, go twice for $150. 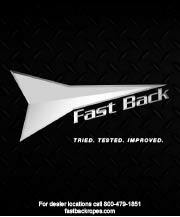 For more information contact Justin Davis at (530) 949-9389. 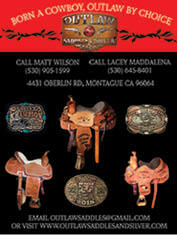 There will also be a Junior NFR Qualifier on Monday, April 16. For more info contact Brandon Beers at (541) 460-3460. Many other things will be taking place as usual at this great event in memory of Broc Cresta. During this next year I will be reminiscing about what happened 49 years ago in the Ropers Sports News. I hope everyone had a great holiday season and is ready for a full year of team roping and barrel racing, plus any other events you may be involved in. My holiday pre-season found me in Las Vegas for more than two weeks, which included the Wrangler National Finals Rodeo, the PRCA Convention, plus some outstanding roping events.